Aesthetic and plastic surgeries are common procedures among general public. Such surgeries have been here to solve various kinds of imperfections. Facelift surgery is one of the most requested type of aesthetic surgery as it deals with the most prominent and visible part of clients’ body. Face is definitely a mean of communication. It attracts attention of public and also causes most concerns in our clients. How Much Does a Facelift Cost in the UK? 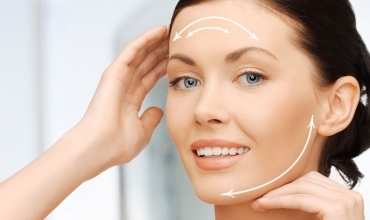 There are several factors to be concerned when it comes to a facelift surgery. Apart from the visual and medical ones, each client has to judge the cost and expenses connected to the surgery. Cost of facelift surgery depends on a lot of factors and client must make sure he or she gets the best services for the money spent on facelift. 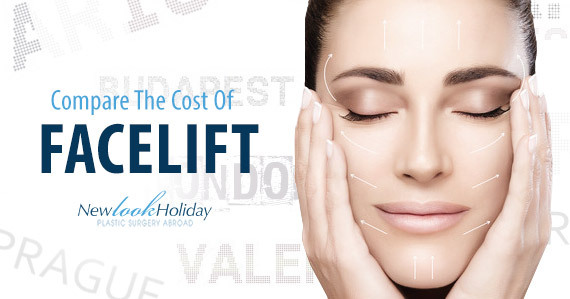 New look holiday offers affordable facelift surgeries at lower prices than the competition, yet following all standards, state-of-the art procedures and techniques. Our premises are under a strict supervision of Ministry of health of the Slovak republic and all medical staff is certified in the field of aesthetic and plastic surgery and surgeons are board-certified plastic surgeons. Clients often spend hours doing online search and surveys, which is definitely a good idea and a thing that must be done. However, to make it easier for you we did a bit of search for you too. Comparing the prices of facelift surgeries in the UK you can save up as much as 70% of your expenses and various discounts are offered when combining multiple procedures at once. When we compare the facelift cost within our region, the Czech Republic, Poland, Hungary, the average prices can be as high as €3,500. This average price is often topped on by additional and hidden costs, such as extra night (stay) at the clinic or additional medical examinations. Private clinics often charge extra amounts even for procedural steps that are supposed to be a standard item included in the procedure. Our services and prices include a procedural package and no additional costs are charged. Detailed description of such package is available on our web page or you can contact us any time and your questions will be answered by one of our patient coordinators. We offer a facelift surgery at the price of £1,830 and there are no additional charges. Such package includes not only the surgery itself and general medical treatment but also client’s service and support. You are accompanied by our coordinator at all times, being collected and driven back to the airport and provided extra care upon agreement. That is what makes us special and different from the others. We hope you will find this brief survey of facelift cost and price comparisons useful and it brings more light into your decision making. For any further queries, please contact us and we will do our best to meet your expectations and provide you with the highest quality service for your money.